Background: The organizational culture, justice, and ethical practices found in nursing services and health services have numerical superiority and a significant importance. 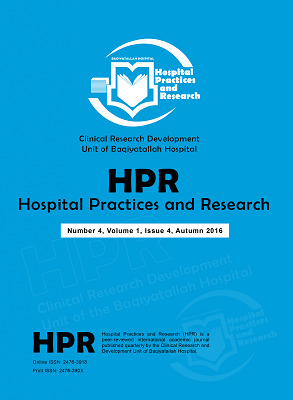 Objective: This descriptive study aimed to determine the relationship among ethical behavior, organizational justice and culture in public and private hospitals. Methods: One hundred fifty-three nurses working for at least 6 months in a private or public hospital in Ankara participated in this study. The questionnaire used in this study consisted of three parts: participant demographic data, the ethical leadership scale, and organizational justice. Results: The perceptions regarding organizational culture and ethical behavior of nurses working in a private hospital were found to be greater than those of nurses working in a public hospital. A statistically significant relationship was found between the nurses’ perceptions of organizational culture and justice. A similar relationship between perceptions of nurses regarding organizational culture and ethical behavior was also noted. The results showed that organizational culture explained 30% of the ethical leadership behavior of managers and 35% of organizational justice. Conclusion: The perceptions of nurses regarding justice and ethical behaviors are significantly affected by their work culture exposed in the case of increasing of non-ethic and non-fair behaviours it was the nurses perceive more strength and role culture. Erdoğan İ. Organizational Behaviours. Istanbul: Miad Publishing; 2007:223. (Turkish). Bakan İ, Büyükbeşe T, Bedestenci HÇ. Organizational Culture-Theoretical and Empirical Approach. 1st ed. Istanbul: Alfa Academy Publishing; 2004. (Turkish). Ataman G. Business Management: Basic Concepts and New Approaches. 2nd ed. Istanbul: Türkmen Publishing; 2002. Greenberg J. A taxonomy of organizational justice theories. Acad Manage Rev. 1987;12(1):9-22. doi:10.5465/AMR.1987.4306437. Yılmaz G. The Effect of Organizational Justice Perception Regarding Human Resource Practices on Employess Attitudes and Behaviors [dissertation]. Istanbul: Istanbul University Social Sciences Institute; 2004. Kara Y. The Effect of Organizational Culture in Schools on Ethical Manners of School Executives [thesis]. Istanbul: Istanbul University Social Sciences Institute; 2006. Aydın IP. Managerial, Professional and Organizational Ethics. 3rd ed. Ankara: Pegem Publishing; 2002. Marquis BL, Huston CJ. Leadership Roles and Management Functions in Nursing. 4th ed. Philadelphia: Lippincott Williams & Wilkins: 2003:68. İpek C. Organizational Culture Teacher-Student Relationship in Public and Private Secondary Schools [dissertation]. Ankara: Ankara University Social Sciences Institute; 1999. Colquitt JA, Conlon DE, Wesson MJ, Porter CO, Ng KY. Justice at the millennium: a meta-analytic review of 25 years of organizational justice research. J Appl Psychol. 2001;86(3):425-445. Özmen ÖNT, Arbak Y, Özer PS. An inquiry about the effect of justice value on justice perception. Ege Akademik Bakış/Ege Academic Review. 2007;7(1):17-33. Yalap O. The Impact Of Perceptions Of Organizational Justice For Employess On Organizational Deviance Behaviours: A Research In The Textile Industry [thesis]. Tokat: Gaziosmanpaşa University Social Sciences Institute; 2016:70. Gür E. Organizatıonal Justice Perception and Burnout Situations of Nurses Working in Public, Private and University Hospitals [thesis]. Ankara: Gazi University Graduate School of Health Sciences; 2004.